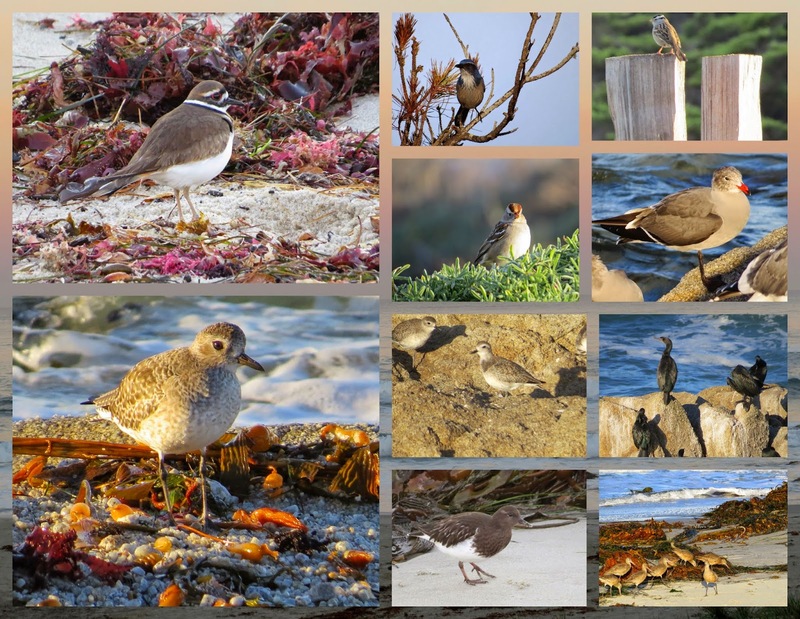 I was lucky enough to visit Monterey, California recently for a conference and indulged in a bit of 'bleisure' travel while I was there. For those that don't know, bleisure travel is the practice of taking some time on a business trip for fun activities. There is an 8 hour time zone difference between California and Dublin so I worked the jetlag to my advantage for my bleisure pursuits. I was typically up at 5 am everyday and by the time I was dressed and ready to go, the sun was just coming up. There are some fantastic trails along the coast in Monterey and each morning I'd walk for 60-90 minutes to explore these gorgeous surroundings. 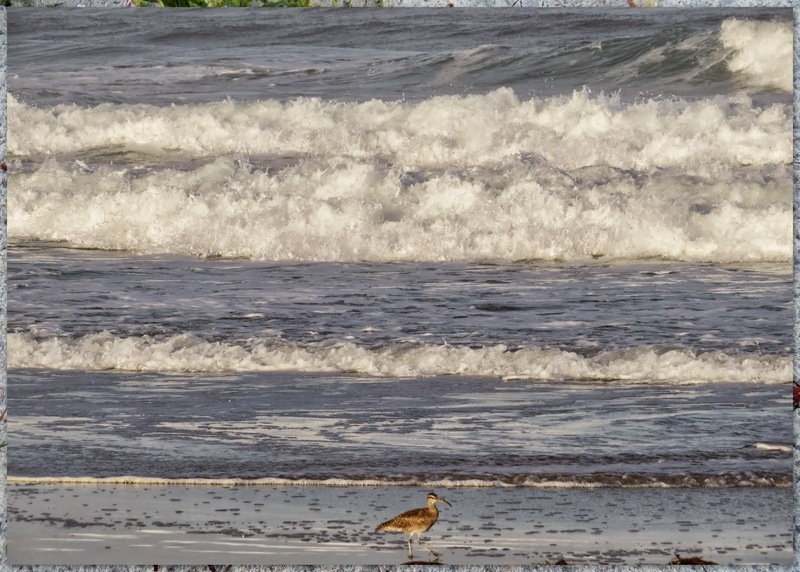 It was so peaceful and relaxing to listen to the waves crash onto the beach and see shorebirds running up and down trying to dislodge a snack from the sand. Apparently, I wasn't the only one with a bit of leisure on the mind. 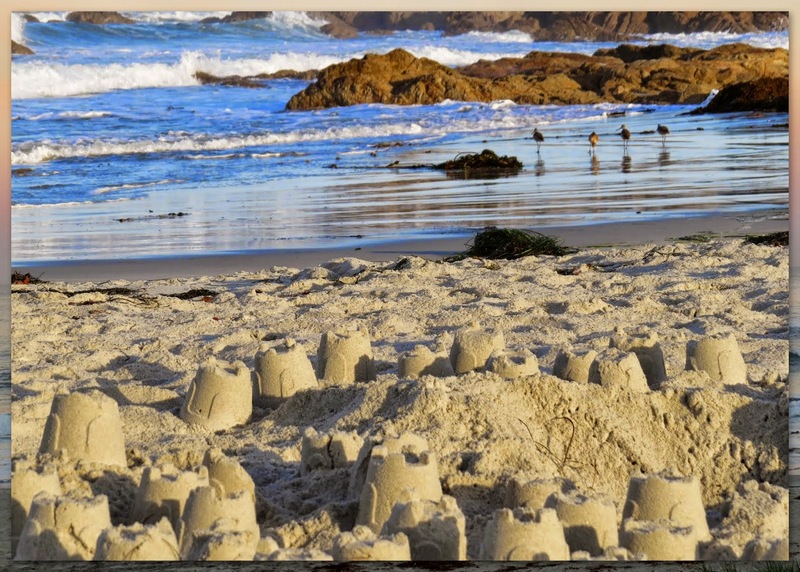 Someone had been busy creating this beautiful sandcastle on the beach. My favorite part about these morning walks was definitely the birdwatching opportunities. Before the sun ascended over the horizon, it was really quiet with not much happening but as soon as the sun came up, the beach and brush was alight with activity. Amazing! This map shows gives a good sense of the ground covered on these walks. 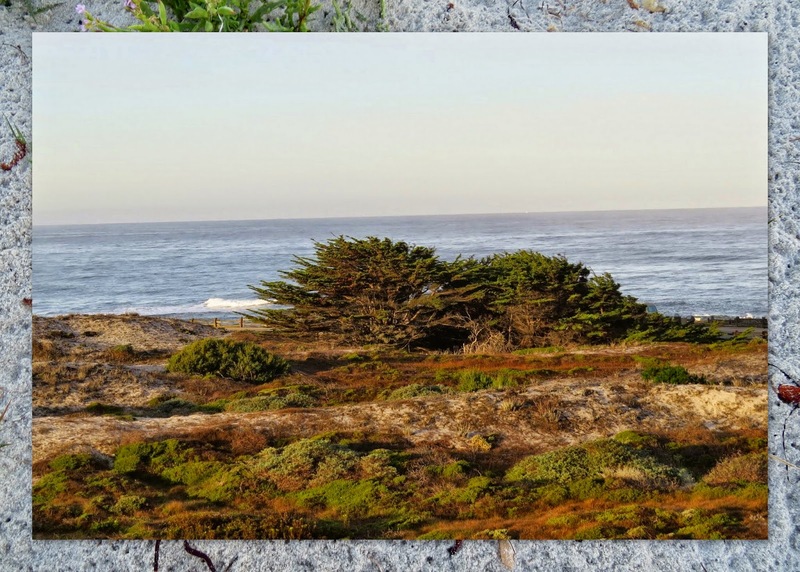 Learn how to make jetlag work in your favor on a morning walk in Monterey County, California. A photo-rich post written by travel blogger, Jennifer (aka Dr. J) from Sidewalk Safari.